With Krinkle Closeout, your crews on-site get immediate feedback during the cell tower closeout process. Eliminate return visits due to missed photos or incomplete data. With Krinkle Closeout, your crews on-site get immediate feedback and eliminate return visits due to missed photos or incomplete data. The app’s powerful back-office tool gives your Quality Control teams back at the office better business process management in near real-time as data is collected. This cutting-edge workflow management software can be downloaded on any number of devices in your company, and on any smartphone or tablet. 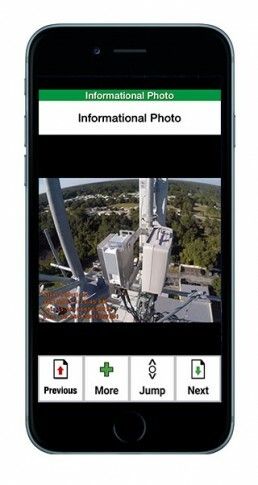 Krinkle’s mobile app for the wireless industry is powered by Mobile Epiphany’s enterprise-class software. With Krinkle Closeout, your field technicians will have the benefit of unlimited photologs, allowing them to make comments or answer direct questions on the state of any component while still on-site. GPS capabilities not only allow technicians to search for specific sites, but any nearby. Maps are available in street view, as well as directions to any site by simply clicking on the selected site. Automated time and date-stamping allows technicians in the field indisputable proof that they are on the correct site, inspecting the correct components required for each project. Once online, photos and data with complete EXIF data available to Quality Control for immediate feedback while techs are still on-site. Krinkle Closeout is not just a mobile app for technicians on-site, or business process management on-the-go. Our digital forms solution for Closeout Packages makes it easy for Quality Control to quickly assess photos uploaded on-site in real-time. 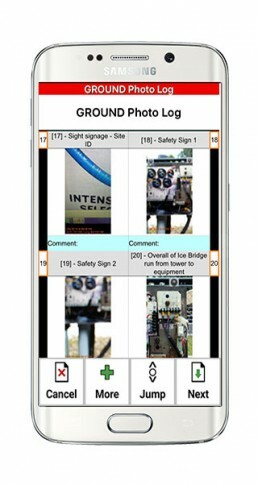 The bulk photo export feature allows Quality Assurance at a glance and immediate feedback to techs in the field. Uploaded photos are complete with metadata at your fingertips for better workflow automation: Quality Control knows exactly when and where data was collected at a site. Any errors or poor-quality images can be immediately detected. 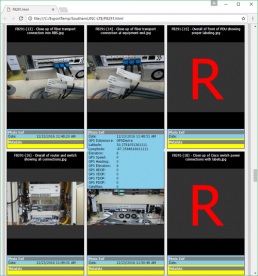 For example, the red “R” in the photolog to the left indicates a “Required” photo that needs to be taken,” and fixed before the tech leaves the site. The wireless industry’s ever-changing requirements can be difficult to keep up with. Take your Closeout Package process from weeks or months to hours or days. The Krinkle pricing philosophy is based on simple, activity-based billing and a one-time account setup fee. Only pay for what you use, with no monthly subscriptions. Software-as-a-Service always includes all tech support and you get the app updates automatically. Our standard forms are built to match the needs of specific industries and custom forms creation is readily available for a one-time fee. Hardware choices are up to you, with options available that include all support, maintenance, and replacement devices.